The guys hooked me up with the first bike about six months ago, back in the fall. They came up with three new models this year – the 1.0, 2.0 and the 3.0, which is coming out in April. First, I have to say I am an UltraRunner and the road bike or even fat bike is an addition to my training. I am not focusing on fat biking accomplishments whatsoever. Fat biking is pure fun and joy to me. Also, I have to say I own a carbon fiber Cervelo R3, which is my summer ride. Two years ago, I was playing with the idea to buy something for winter, so a Fatbike comes at a logical choice, just to incorporate a variety into my training. I was playing with the idea to expand my running by getting deeper into nature by running deeper trails and using the bike an an approach out and back. Anyways, long story stort. 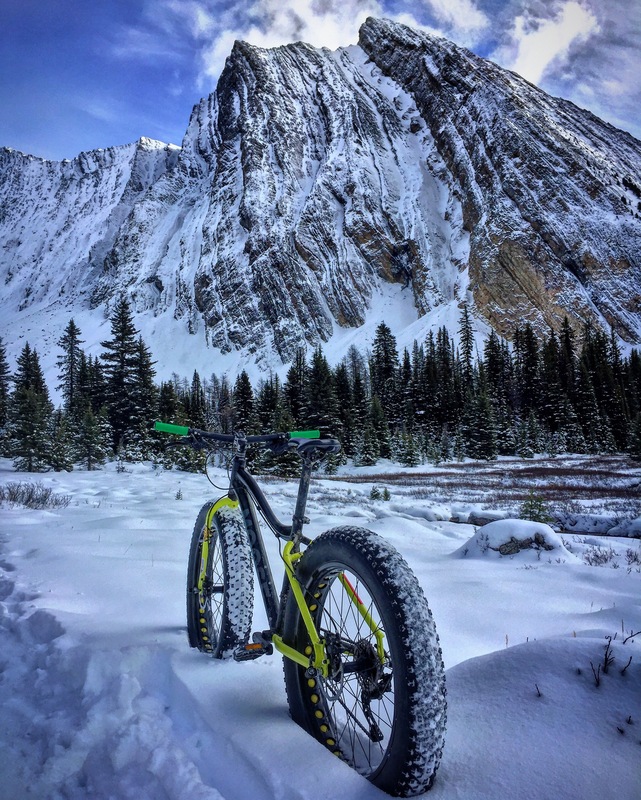 I went in Bragg Creek one weekend and rented a pretty expensive fat bike for a couple hours. Honestly, I was not impressed by performance compared to the value of these bikes. There is no way I would pay $4,000 – $5,000 to have a little fun in the wintertime. You might understand since biking is not my main sport. Later on I became great friends with the guys from Moose bikes, which is a Canadian Company with a bunch of great people behind it. All the bicycles they make are more than reasonably priced. The guys hooked me up with a Fatbike which was on sale for $999 and I was super impressed with the components and quality of how the bikes were made as compared with the bike I rented last winter. I wouldnt necessarily say this bike is a high performance machine, but the components on the bike was matching or better and I was having as much fun or more fun on the moose Fatty ripping the trails. I am not trying to say this is the best fatbike on the market. 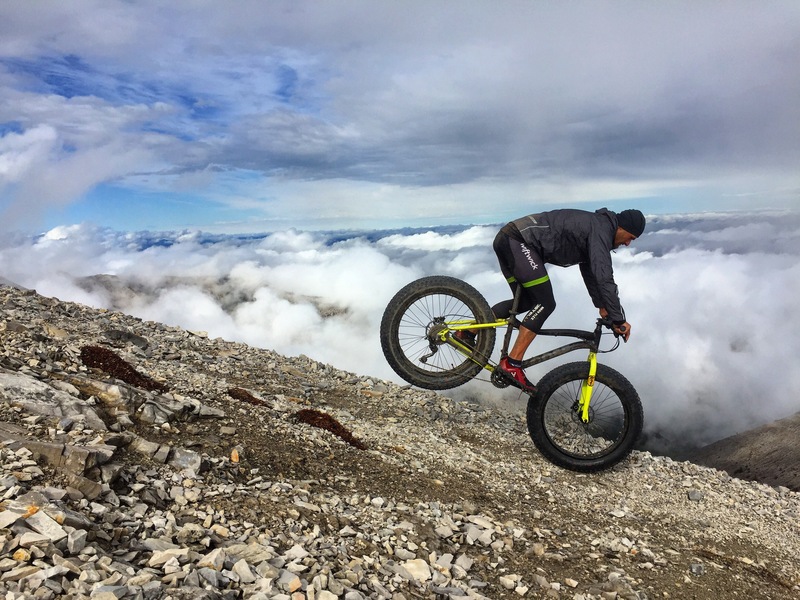 I really notice the sky is the limit and companies are pushing the limits and the price up with upgrades such as carbon fiber and full suspension fat bikes, but I can guarantee you will get a hell of a bike for your money with Moose Bicycles. In the fall I was riding the black/yellow version 2016, which I find a pretty reliable machine but there was space for a little upgrades here and there. The bike in general I find pretty reliable. 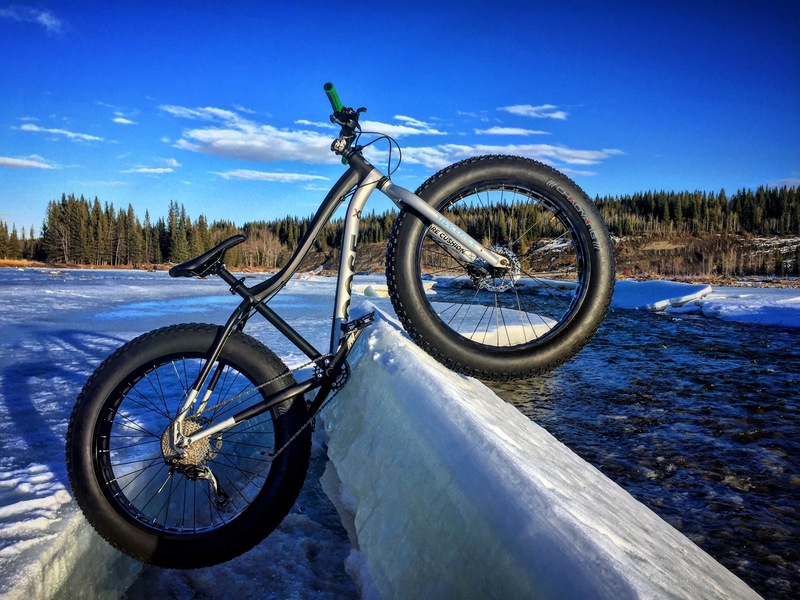 Currently, the Moose bike in 2017 came out with an upgraded version of their fatbike which they come up with three different versions; 1.0, 2.0 and 3.0. You can really choose what you are looking for and bikes are priced accordingly starting from $700 CAD. I want to talk a little bit about the Moose 2.0 because that is what I currently ride and the 2.0 is in between the 1.0 and 3.0. The 2.0 is beautifully painted silver/black. 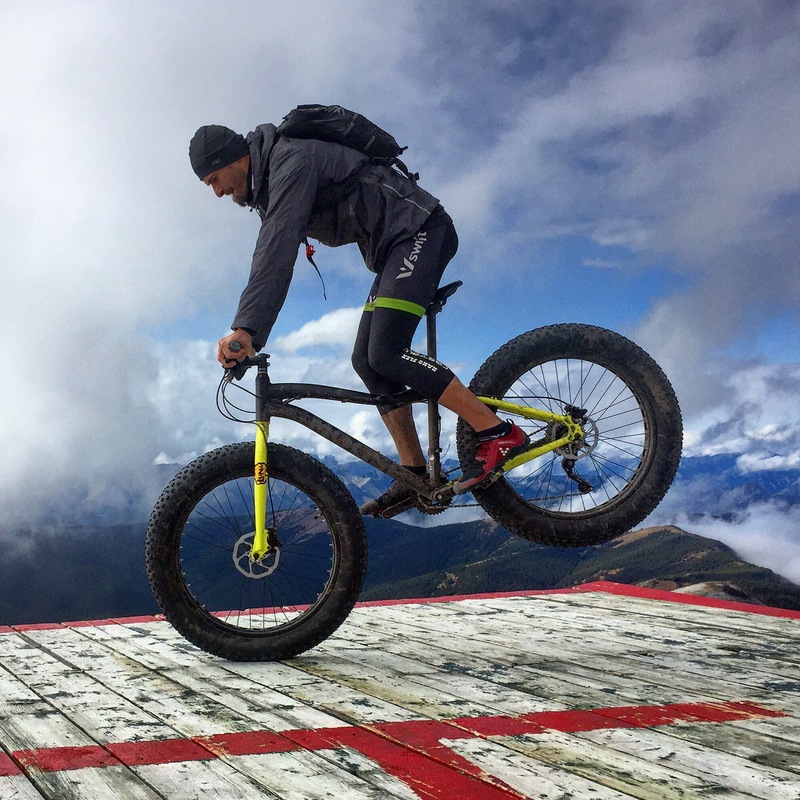 The rims are lighter and 1/2 inch wider than the previous version of the fatbike. The crank set was simplified from 2 gears to 1 in the front which is plenty in my opinion. There is no more freezing of front derailer and no more shifting problems. I notice in the beginning of winter all the mud was building up in the front derailer and I always had to stop and clean it out. No more issues with this one. Hydraulic disc brakes were upgraded with wider rotors giving you a more powerful braking force. However the bike comes with the same shimano deore group set. Also the fork is more rigid with less vibrations coming into your handlebars. The bike comes with the same tires. They are not studded which I dont mind because I can ride it year round and not worry about damaging the trails. I find the bike has excellent traction with 2-3psi and it holds super well in sharp corners. The only thing I would pay attention to is the best bike fit for me is medium size, but I wish the bike would come with a longer seat post. Make sure you check that before ordering. There are plenty of accessories on the website such a the frame bag which is super cool. 1.0 is basically the same identical bike with the same frame, with a slightly downgraded group set but I betcha it will give you as much fun as the 2.0. The bike does not feel super aggressive, I almost feel like I am sitting into the bike and not on top of the bike. I always felt very stable and secure and in control. Now 3.0 what is coming out in April is a complete BEAST!! The group set was significantly upgraded with a different shifting ratio, different handlebars, and most importantly front Rockshock suspension and more aggressive maxxis tires. I didnt find suspension needed from riding in the snow or from a touring perspective, but if you are looking for one bike, year round, the 3.0 would be the one to go with and I am sure you can have more fun riding it over big bumps in the summer and fall. You can find these 3 bikes on moosebicycles.com they offer worldwide shipping. If the model is in stock, pretty fast delivery. I really believe you are getting a lot of value for your money and if you have a family you can get four Moose fattys for the price of one almost identical from competitive big name brands. The bike was delivered in a big box and even with home tools, you can set it up in 1/2 hour and its ready to go. I took my moose bike on pretty rugged rocky trails and I wasnt gentle with it and nothing is loose on it after months of riding. Set it up, pop in the wheels and have a lot of fun!! Moose bicycles also makes beautiful fixed bikes and work every day commuters. 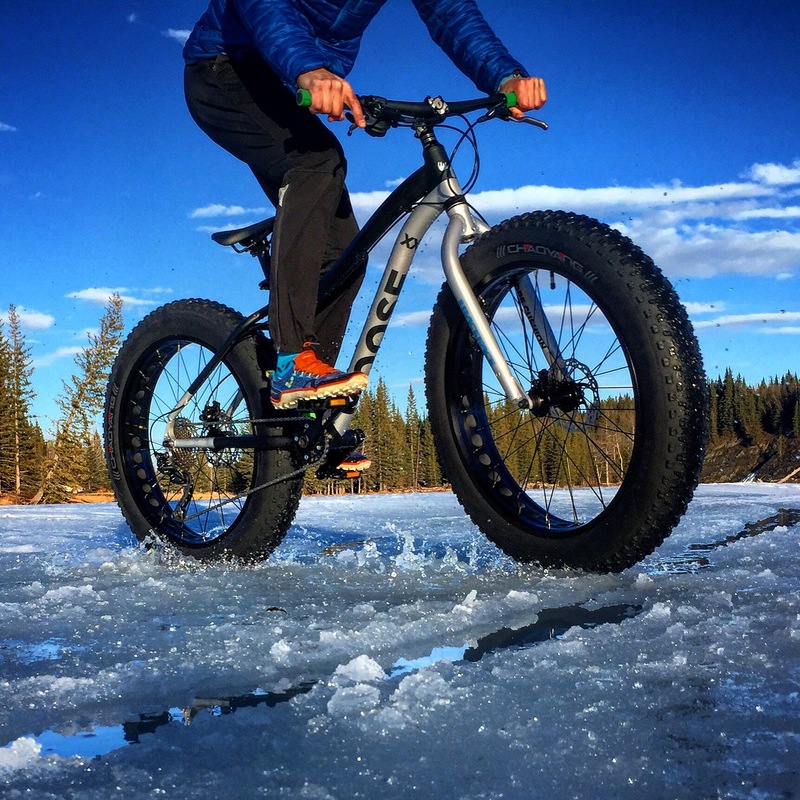 I just recently bought the Moose Bicycle Fat Bike 2.0… I am new to fat-biking and wanted something decent at a good price. Stumbled on the Moose Bike site, compared the 2.0 to other bikes I was looking at, and could not justify spending about $300 more for a bike that was essentially the same quality as the 2.0. It arrived in 7 days. I opened up the box, put the few parts together – handlebar, front tire, seat – and had a little ride around my house, then put the cardboard in the recycling… in the span of about 2 hours. I’ve only had a couple rides on it on local trails but it was a blast! I had e-mailed a few questions to the guys at Moose and they responded very quickly. I expect to get lots of use out of this bike and if I ever need another one, or decide to upgrade in the future, Moose Bikes is where I will go to look first… I am very happy with this bike, and the $999 CDN I paid for it, and was very satisfied with the customer service from Moose Bikes.